If West Linn voters approve a General Obligation bond measure in May, it won't mark the end of a process that began midway through 2017. Instead, the vote would be more like a checkpoint on a journey that's just beginning. Because while the City would be assured of funding from a renewed levy of 42 cents per $1,000 in assessed property value that's estimated to generate as much as $20 million over the next 21 years, exact figures and timing regarding the acquisition of funds would remain to be determined. "This is where the unfinished conversation about (bond) projects comes back into play, because we will need to decide whether we issue a single bond or if we issue a series of bonds," City Manager Eileen Stein said. "And that's dependent on the rule that 85 percent of the proceeds (of a bond issue) must be expended within the first three years ... if the council wants to do a project that's eligible, but it's likely that we won't get to it for five years, for example, then we're going to have to talk about issuing a second series, which means additional financing costs and all of that." When cities issue general obligation bonds, they are essentially taking out a loan that will be repaid — with interest — using funds generated from property taxes. The proposed 2018 bond would be a renewal of a 1998 General Obligation bond that was approved by voters and used for acquiring park land and renovations at the West Linn Public Library. 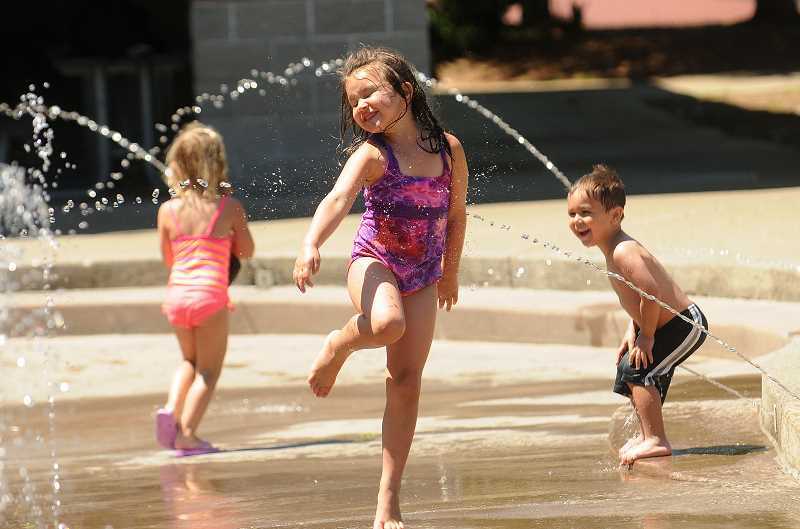 A park bond for $4.4 million was issued in 1998, followed by a $3.6 million bond issue in 1999. A bond issue for the library followed for $3.9 million in 2000. "We actually didn't sell them all in one fell swoop," Parks and Recreation Director Ken Worcester said. Worcester said the $8 million from the two parks bonds was ultimately used to acquire about 70 acres of park land and complete a number of other projects over the last 20 years. "We purchased Maddax Woods, Robinwood Park, Midhill Park, Marylhurst Heights Park, Tanner Creek Park and Fields Bridge Park with bond funds, and then we used SDCs (system development charges) to develop them," Worcester said. "There were a couple other small little park improvements projects, playgrounds ... things we were able to fund just because we had some leftover money." The new trail along the river at Willamette Park — which is now being referred to as the Willamette Greenway Trail — was also built with bond funds. If the 1998 General Obligation bond is renewed, the council hopes to fund projects in three areas — transportation, parks and city facilities. Whether the funding will be divided in a manner similar to the 1998 bond will be up to the council. "That will be an important decision to make after the election," Stein said. "It will take the rest of the year."